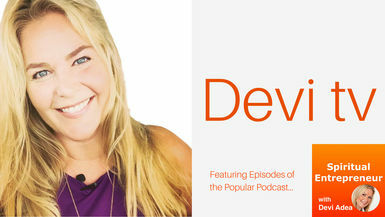 (Septemberfest) In this episode Devi chats with Erin Burch about “Enlightenment Begins with the Body”. Erin Burch, also known as 'The Body Whisperer" and Founder of The Burch Method, quite simply, gives you your body back. If Humpty Dumpty had a dream, it would be her. Her fascination with healing took her from her roots as a Physical Therapist to in-depth yoga to reversing an impossible situation in her own body. She draws on your Body's Blueprint to create profound, lasting phenomenal results. Clients from the east and west coast as well as Hollywood A-list Actors, Professional musicians, rock-n-roll icons, professional athletes and network executives and producers have found relief from the rigors of pain and aging from The Burch Method. Erin is taking her work global and she is committed to breaking through the belief barriers we all have about what’s possible for our middle and later life outcomes! Erin enjoys speaking to Women’s groups about her passion to change the way we relate to our bodies to avoid unnecessary pain and problems that are associated with aging. She is launching a landmark program in 2019 for women who want to stay Juicy For Life!